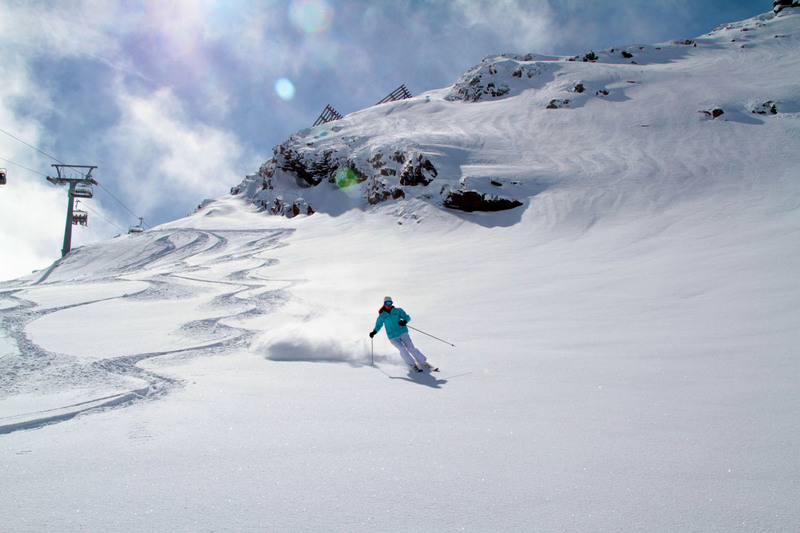 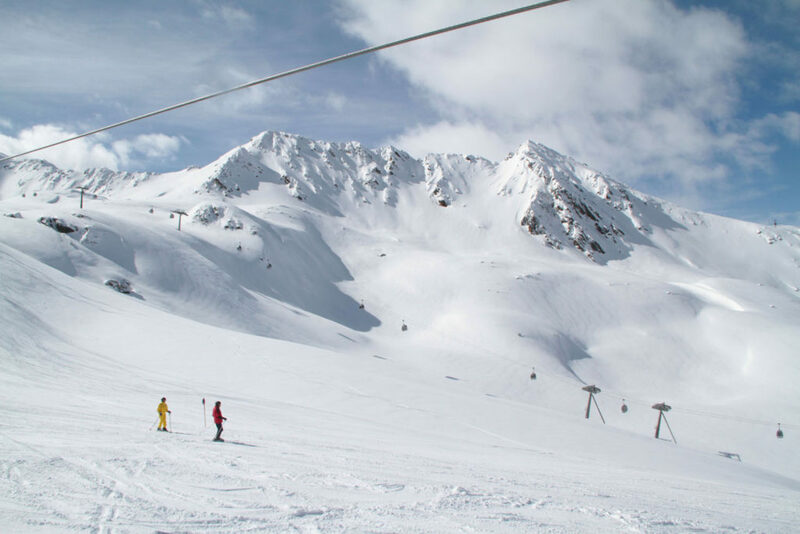 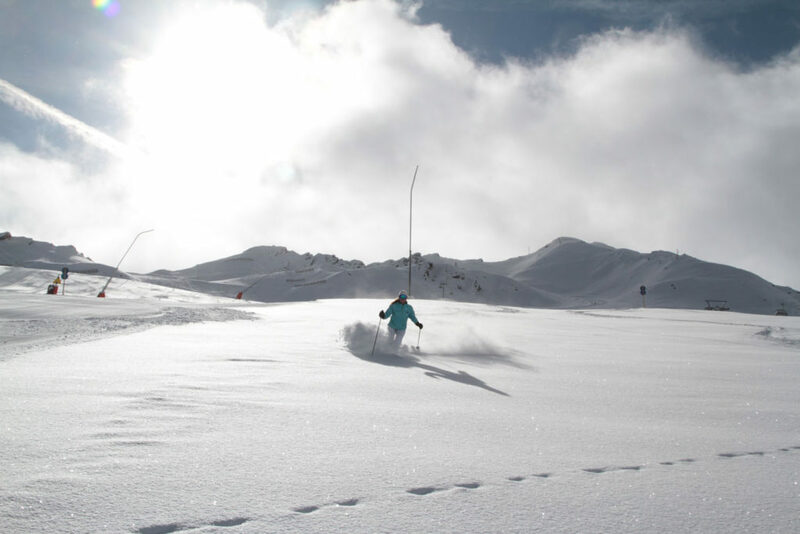 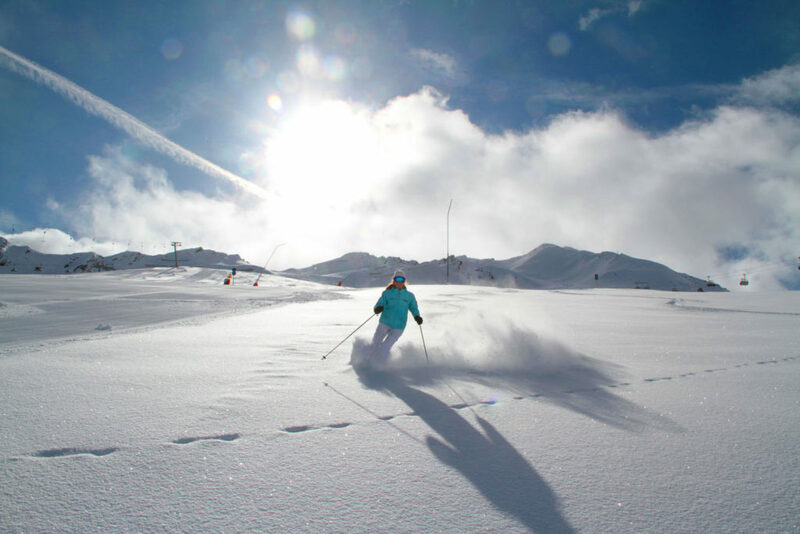 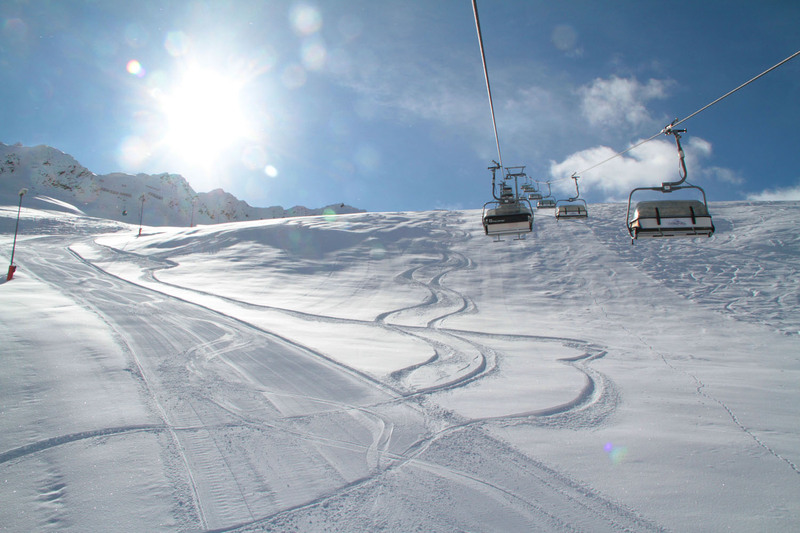 Obergurgl Hochgurgl is called the diamond of the Austrian alps with 24 lifts and 110 kilometers of groomed (prepared) trail skiing in addition to thousands of acres of off-piste natural skiing terrain. 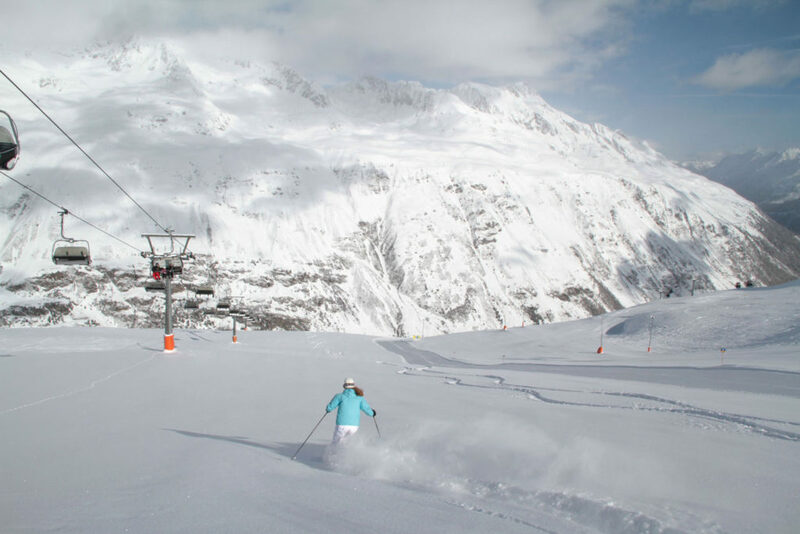 Located in the Otztal Valley in the Tyrol, Obergurgl and Hochgurgl are just 10-minutes from Solden Ski Resort at the end of the valley. 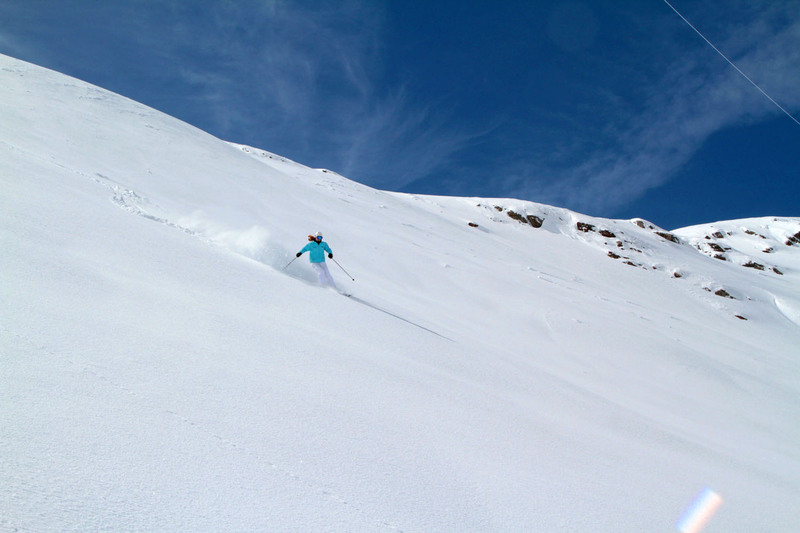 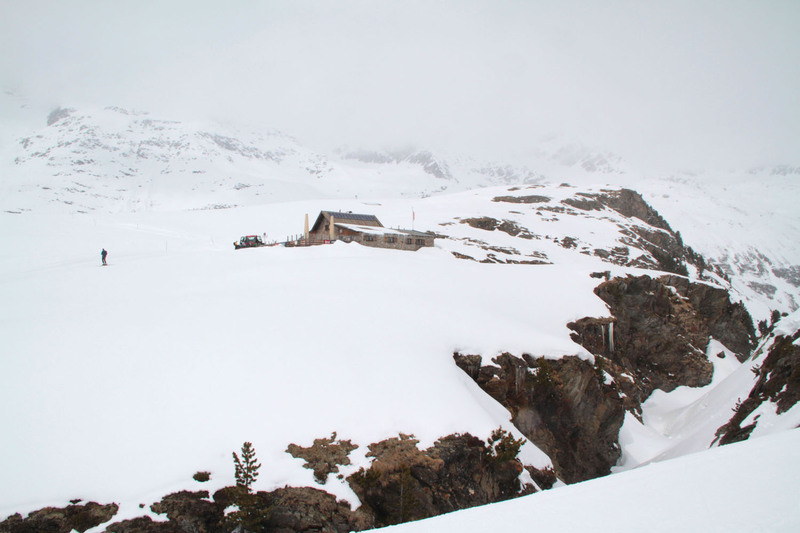 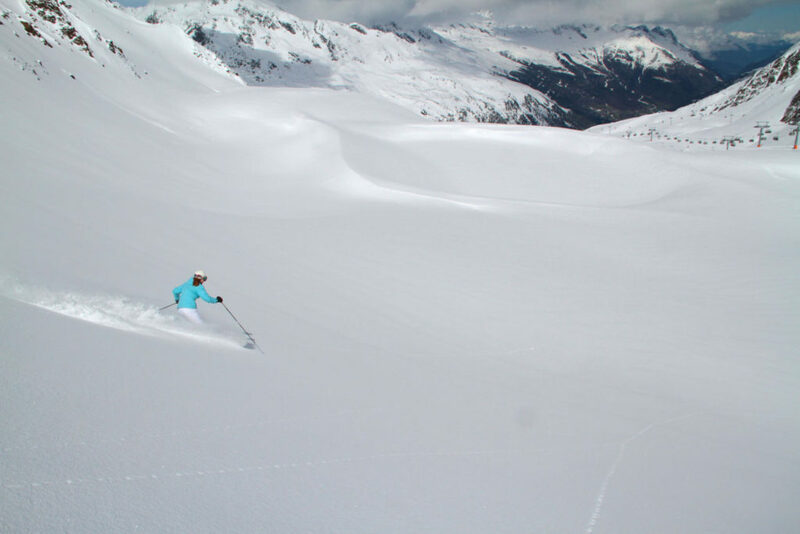 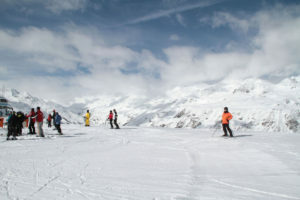 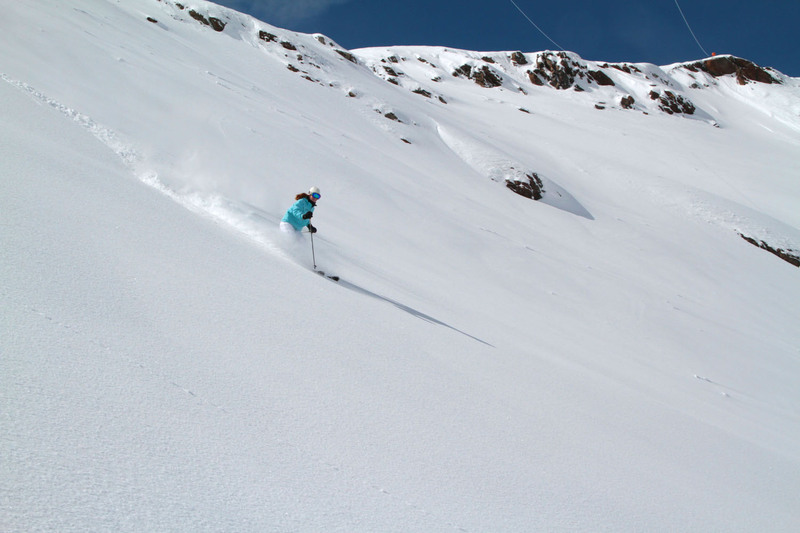 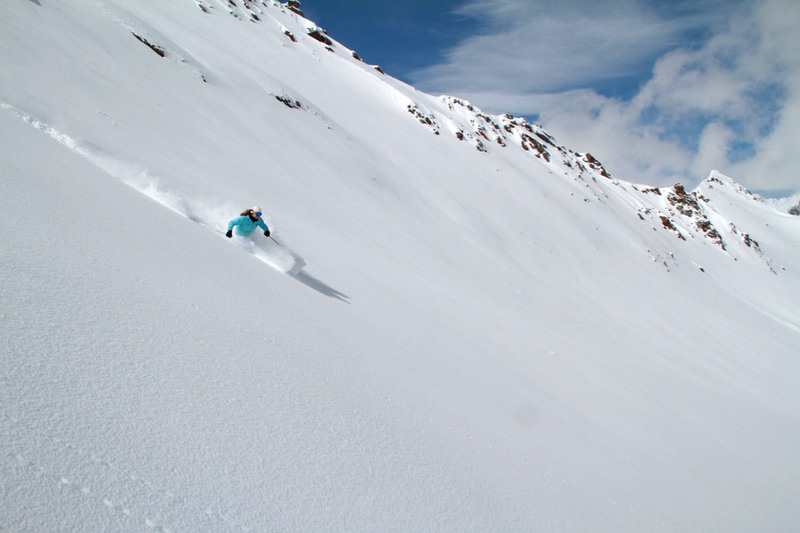 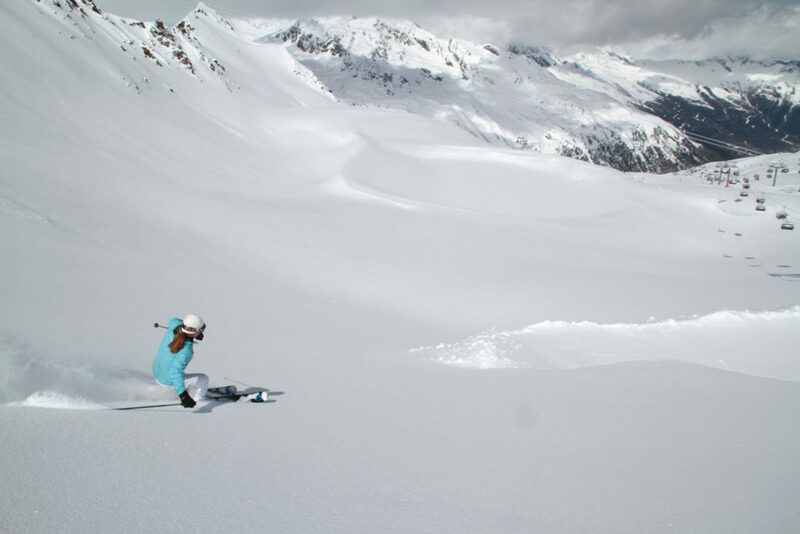 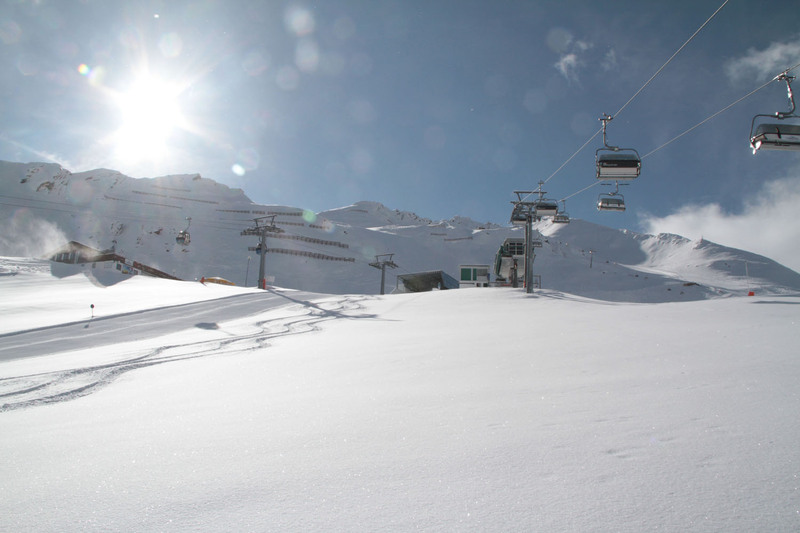 Obergurgl and Hochgurgl’s high elevation makes for a ski season lasting from mid November to early May. 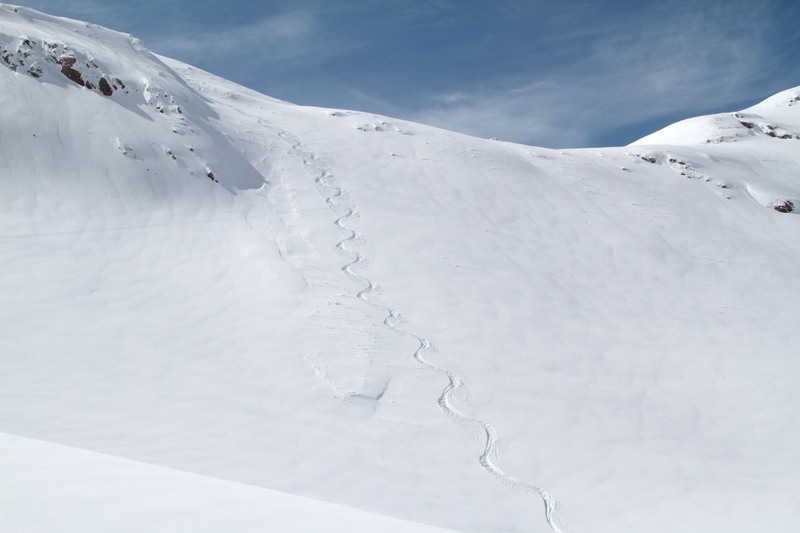 While the terrain isn’t super steep or challenging, there is quality snow and few crowds, plus untouched powder just off trail, since most skiers stay on the prepared (or groomed) slopes. 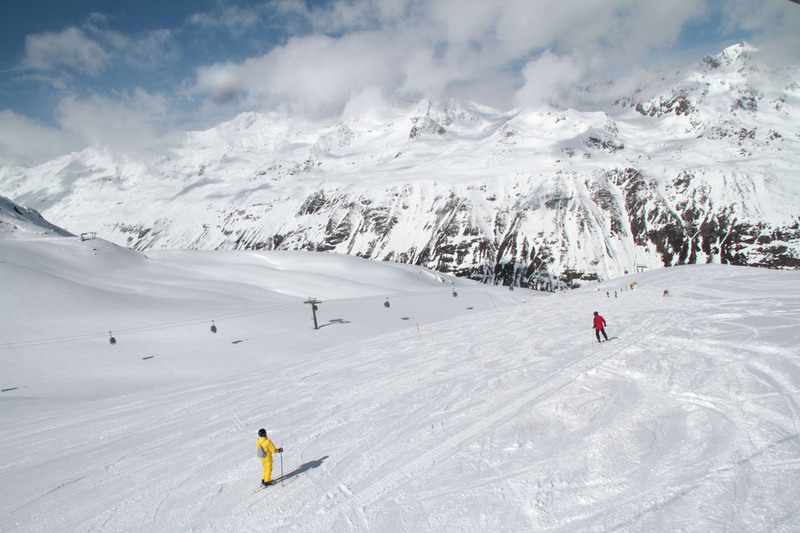 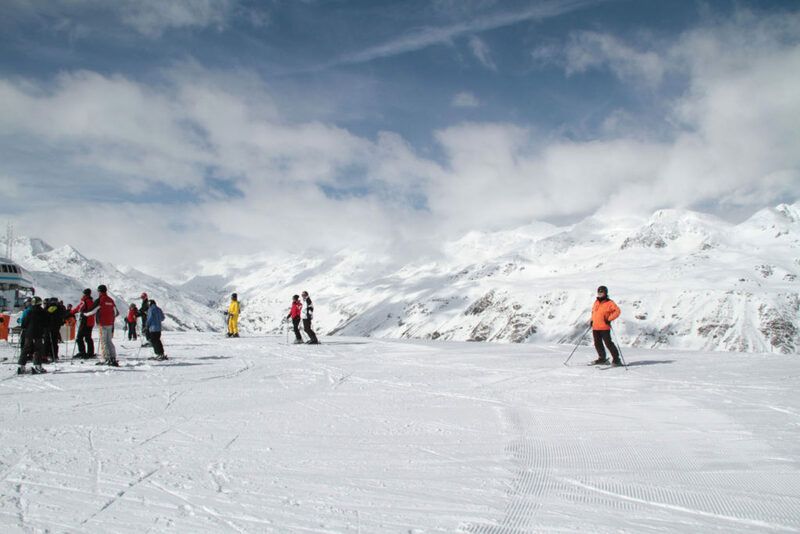 Obergurgl is popular with families, particularly British families, for its pleasant un-crowded terrain, excellent ski school, night skiing, and compact ski villages that offer fun family activities like tobogganing, snowshoeing, and fireworks. Parents like that kids under 10 ski free as well. 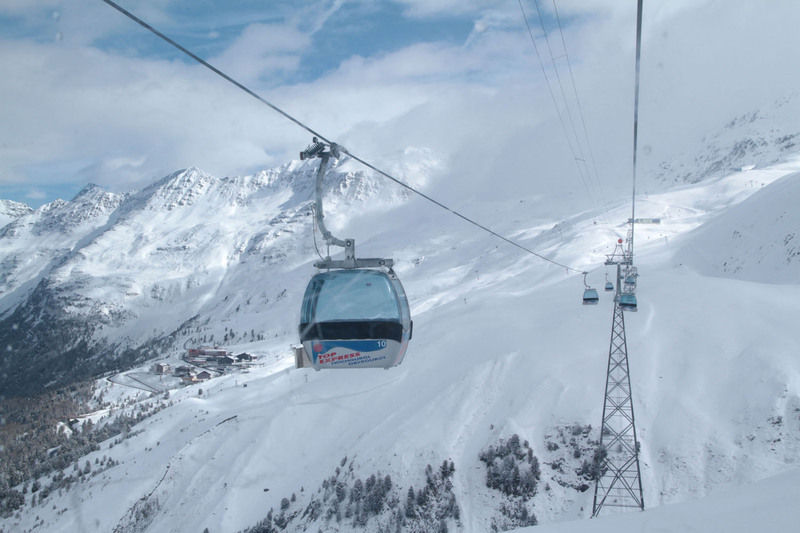 Top Mountain Star is the most famous aspect of Hochgurgl ski resort – this panoramic, round glass structure with star prongs that resembles a spaceship that landed in the Alps. 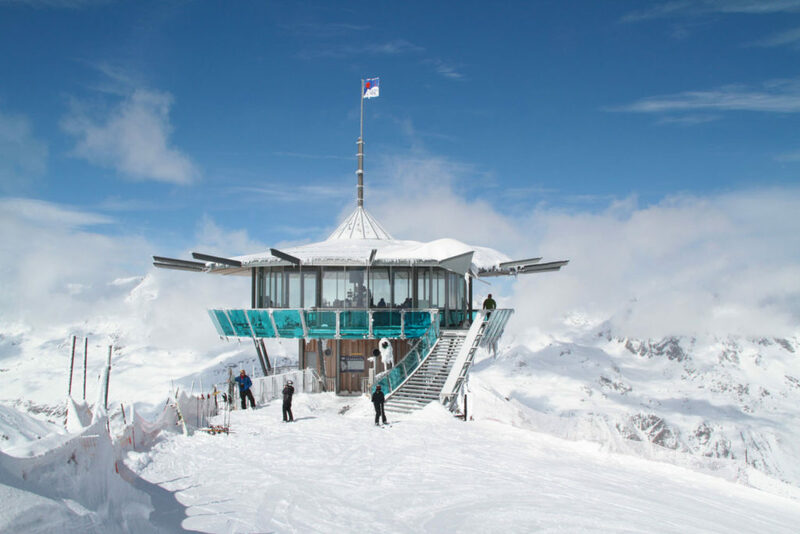 You can have drinks inside with a view, but don’t overdo, it’s a long ski run down from 10,104-feet. 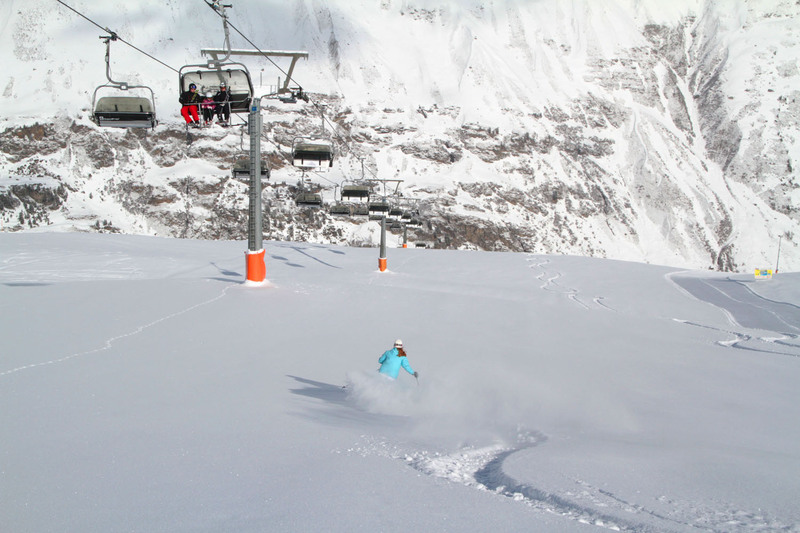 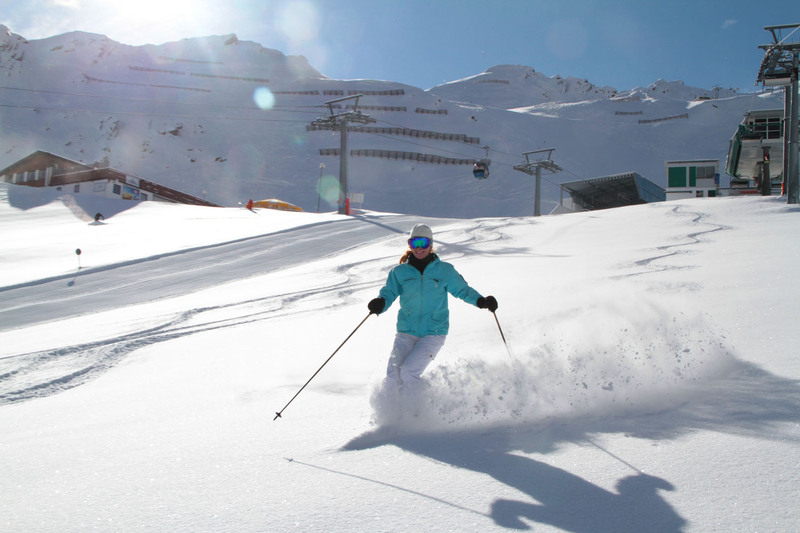 There are several great lifts on the Hochgurgl side serving well prepare ski runs. 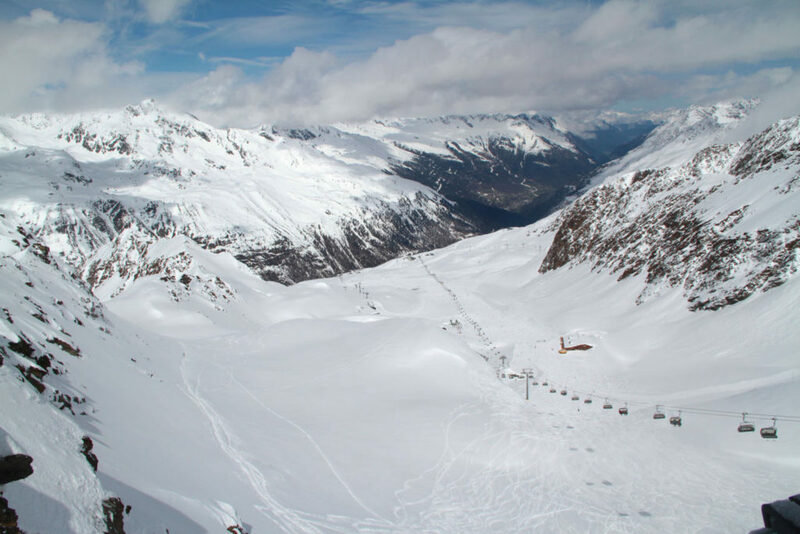 Also at Hochgurgl is the Kirchenkar section of the ski mountain offering wide open skiing reached by a T-Bar, very quiet and typically sunny. 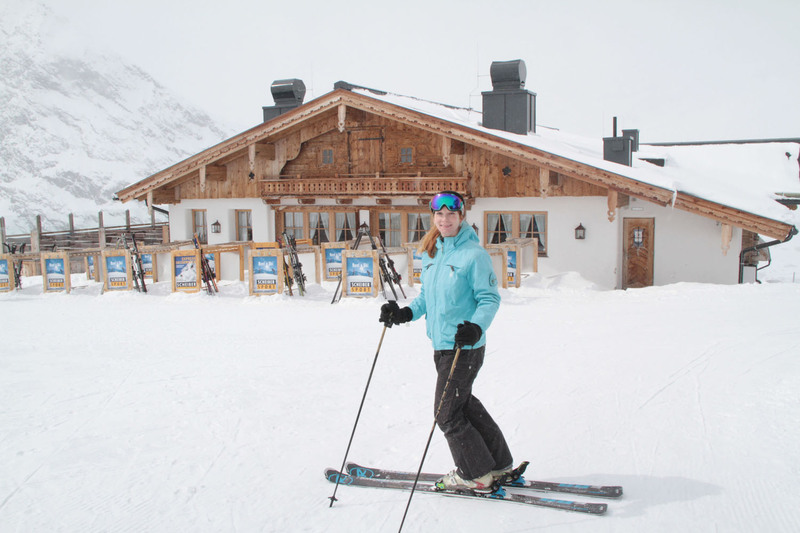 The Kirchenkarhutte here offers a true rustic Austrian chalet for ski in ski out lunch. 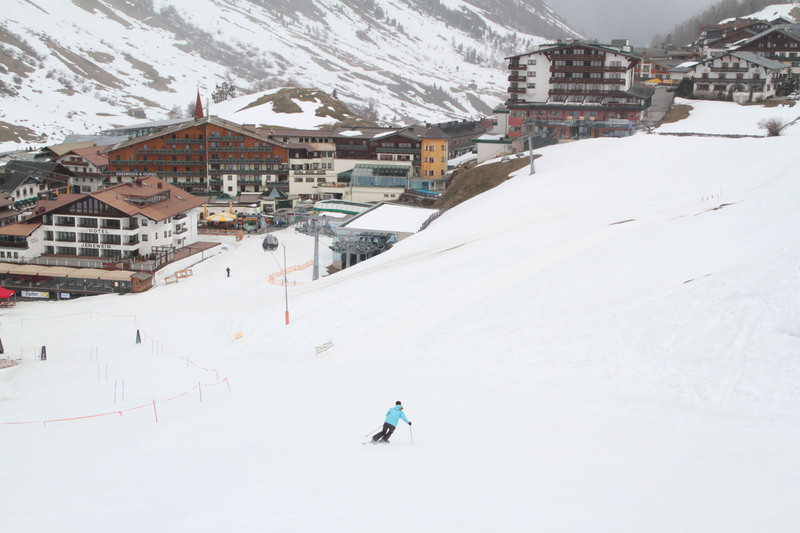 At Obergurgl, families find a variety of ski runs on the Festkogl area, with a Fun Park (terrain park). The Hohe Mut Alm reached by the two segment Hohe Mut Bahn gondola is one of Tirol’s most beautiful mountaintop lodges with a panorama of over 21 peaks of 9,000-feet or more and several glaciers. 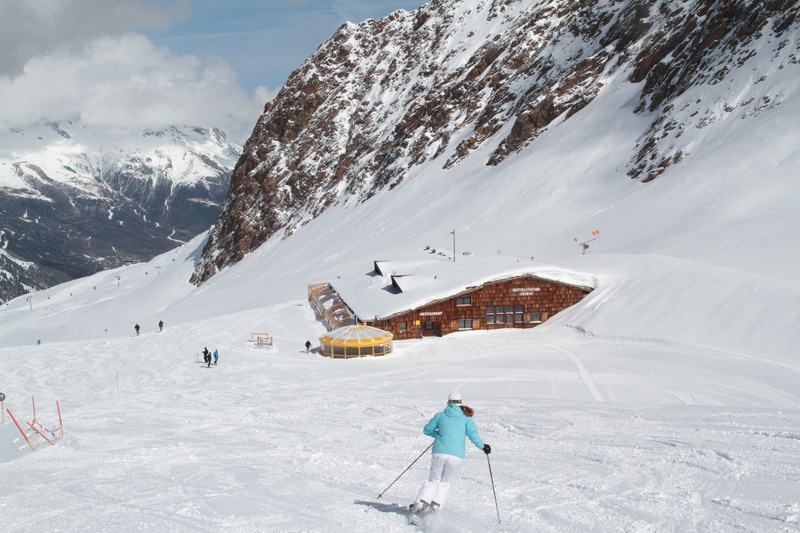 Hohe Mut Alm serves traditional Tyrolean lunch daily and après ski dinner with fondue on Wednesday nights with Austrian music, dancing and a gondola ride down. Obergurgl’s most extraordinary lunch experience starts by , grabbing a rope tow off the back of a snowmobile from the top of the Steinmahnbahn lift, and you are pulled on skis to a glacial valley where the Schonweishutte serves a delicious Austrian lunch. 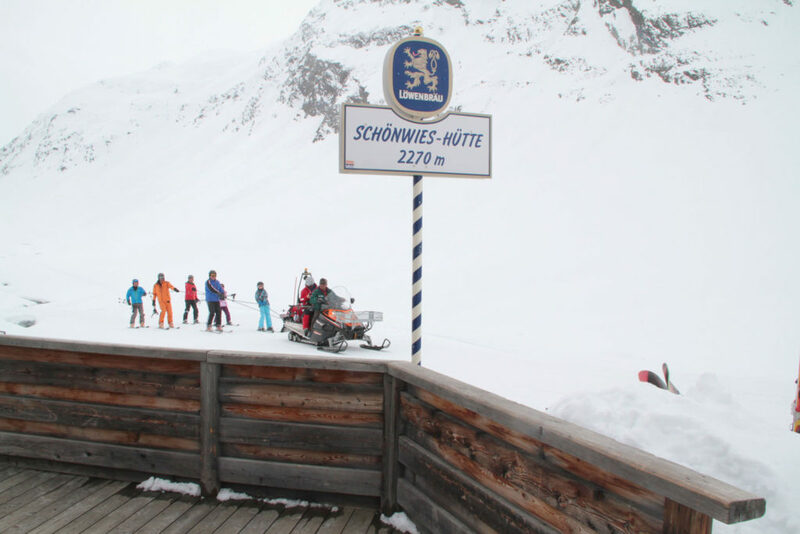 The snowmobile pull is a highlight (kids love this part), so is the sunny deck with amazing views from this authentic stone chalet serving homemade soups and Weiner schnitzel. 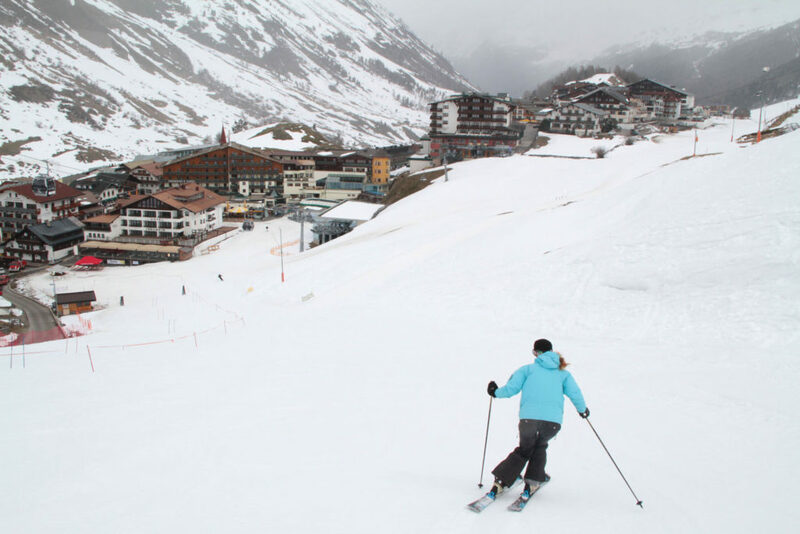 Obergurgl and Hochgurgl après ski and nightlife is not off the hook, just a few umbrellas bars at the base of the slopes, several restaurants, shops and hotels within walking distance in town. The Crystal is the best place to stay in Obergurgl, conveniently located at the base of the Festkoglbahn lift. 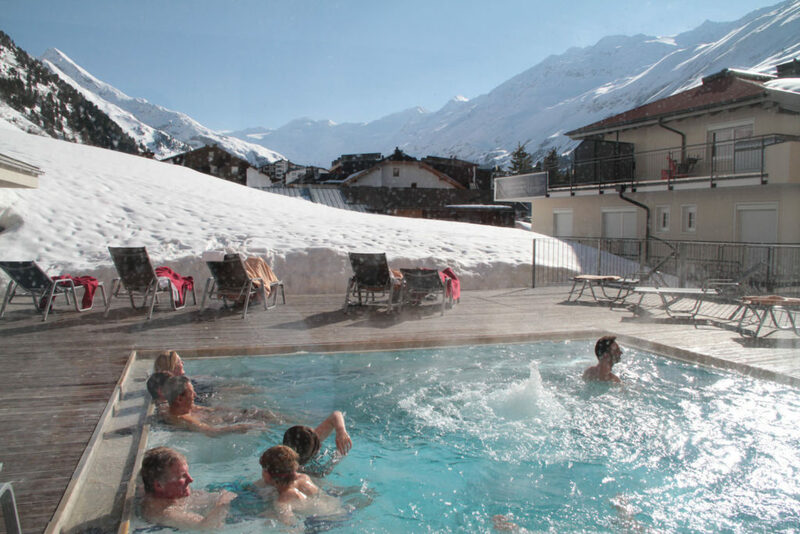 The outdoor pool and Finnish sauna at the Crystal Spa both offer a splendid slope view, and the Hotel has modern rooms and a beautiful Crystal Bar, Lobby and Dining Room. 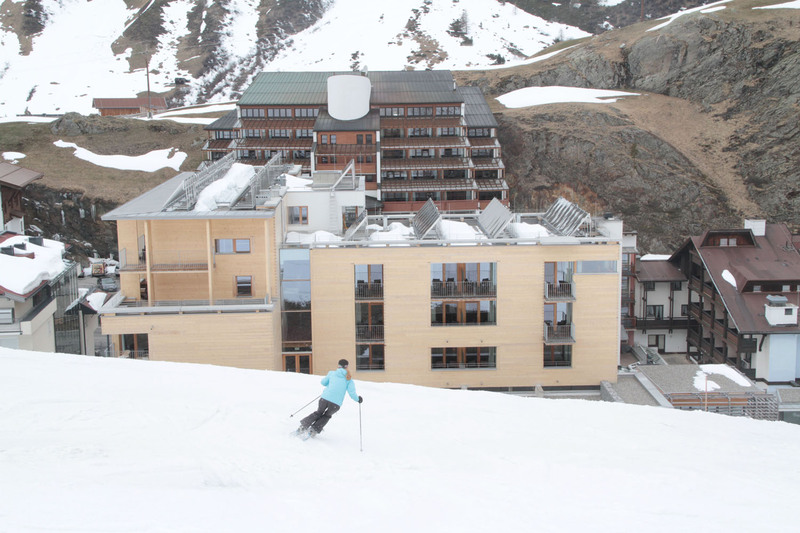 Hotel The Crystal – 4-star slopeside modern hotel offering mountain view rooms with balconies, Crystal Spa with indoor and outdoor pool, adult Sauna and Beauty Spa, elegant dinner and breakfast buffet, ski shop with boot dryer and ski storage steps from the ski lift and slopes. 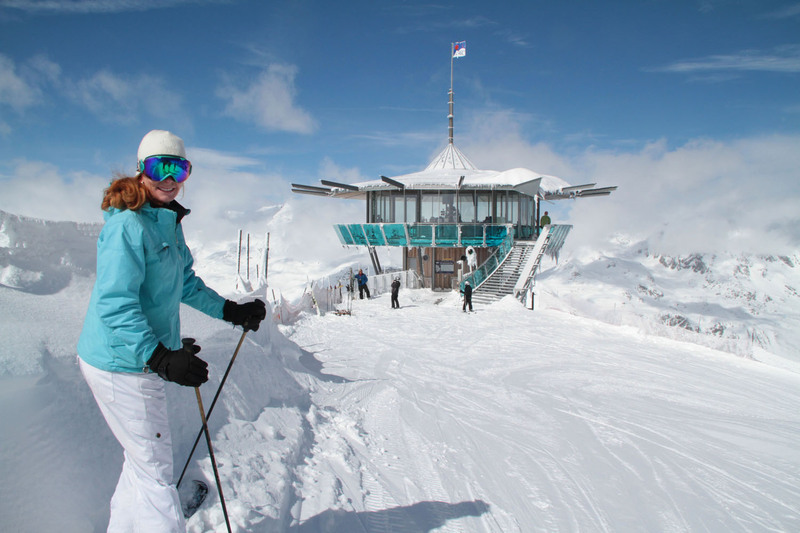 Schonweishutte – from the top of Obergurgl’s Steinmanbahn, take a snowmobile tow on your skis to this classic Stone hut surrounded by peaks and glaciers. Austrian fare is served on the sun deck or inside the cozy secluded chalet. 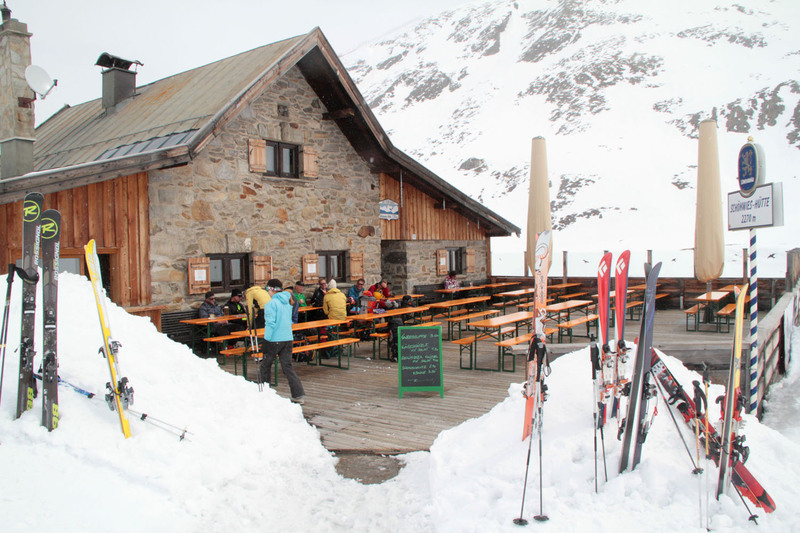 Hohe Mut Alm – at the Obergurgl summit, this mountaintop chalet serves local cuisine and fondue with a panoramic view. Wednesday night, ride the gondola to a Hut Evening with music, dancing and Austrian traditional dinner, even fireworks. 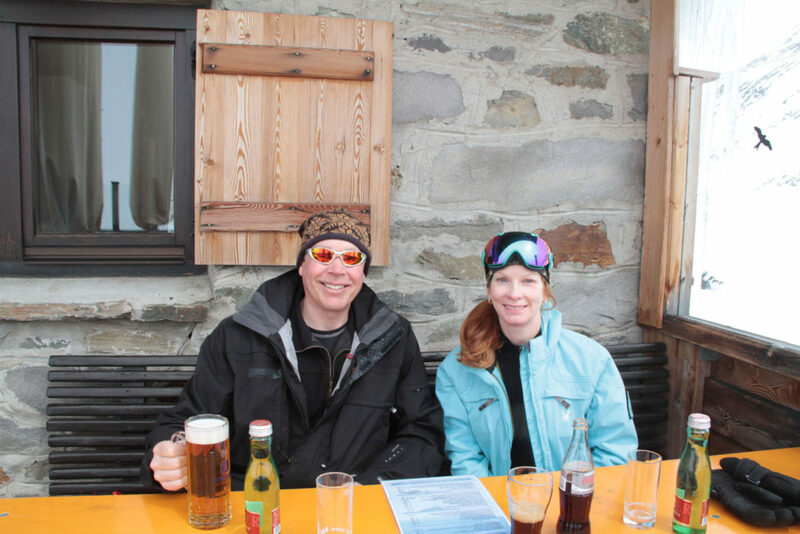 Kirchenkarhutte – a cozy ski-to Austrian chalet at Hochgurgl serving casual quick Wieners, soups, meat and cheese plates, plus a full bar. 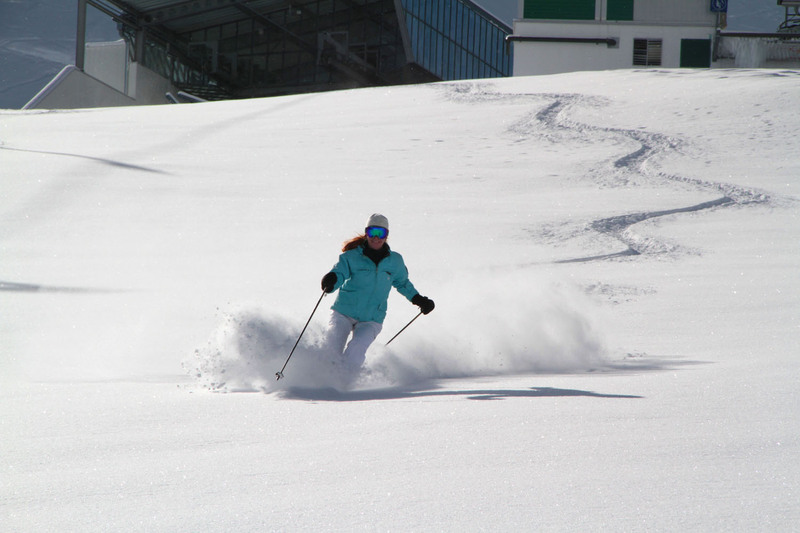 110 kilometers of prepared ski trails plus extensive off-piste.